Turning a charity board into a "fundraising machine" takes a lot more than getting individual trustees to write a check and show up for board meetings, according to Greg Giles and Kim Horton. They are chief fundraiser and director of marketing, respectively, at Minnesota's Friends of the Saint Paul Public Library. Speaking at the Bridge to Integrated Marketing and Fundraising Conference in National Harbor, Maryland, Giles and Horton offered multiple ways to get board members more engaged, and ultimately giving and raising more money. One idea, based on the 50 board members at their organization founded in 1945: Hold an annual dinner for all past and present board members. Despite the expense of the event for hundreds of past trustees, the Friends staff members said the dinner is worth it. Eighty-four percent of former trustees who attend give versus just 26 percent of those who don't. Giles said that he keeps one question in mind whenever he meets with a trustee: "Every time you interact with a trustee, are you building them into a fundraiser?" To build engagement and trustees' willingness to raise money, Horton described a board survey she developed to gauge each individual's motivation to serve her organization and their personal interests. Each person on the board was interviewed by another board member on its public awareness committee. The process has built camaraderie and led to peer-to-peer insights, helping trustees tell the organization's story in their own authentic voices, Horton said. "There are so many layers to this survey," Giles said. The trustees doing these interviews, he added, "are doing my work for me." Engage board members in activities related to specific problems they want to solve without micromanaging, Giles advised. He relayed the story of a trustee who resigned from a charity board because the staff handled everything; the trustee felt unable to contribute anything meaningful. 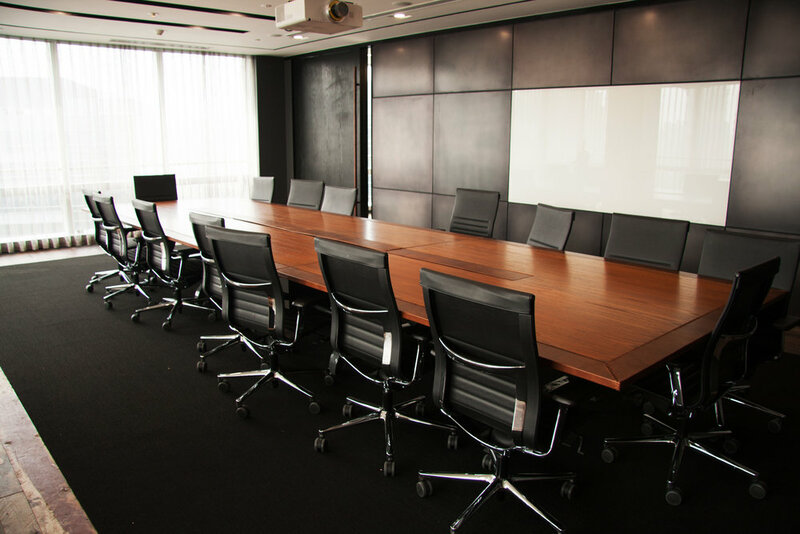 These days, Giles said, board members join because they want to achieve something rather than pursuing the prestige and professional connections board service can offer. Giles and Horton have a comfortable office space where they used to hold board meetings, but now the board meets in one of the organization's 13 branch libraries, a different one each time. And, Giles said, they put a member of the foundation's staff on the board's fundraising committee. "A lot of organizations restrict who interacts with the board to a single staff member," he said. "We don't do that." Expectations of what board members will do in terms of giving and raising money should in writing, Giles said. Friends of the Saint Paul Public Library trustees receive a written menu of six fundraising roles with related activities; each board member checks the activities they will undertake. Each trustee gets a copy of his or her completed form; the charity keeps another. "Curtain raisers" make introductions to potential supporters. "Friend raisers" engage others in programs. "Barn raisers" donate time or materials to programs. "Consciousness raisers" advocate with legislators and others on the charity's behalf. "Hellraisers" host parties and other events. "Fundraisers" build on all the other roles by asking for gifts and thanking donors. Don't make the common mistake, Giles said, of giving board members fundraising and related tasks and then fail to follow up in a timely fashion. Another simple way Giles found to engage trustees is by revising his notes to board members who sit on committees: "I count periods versus question marks," he said. "I make sure I have more question marks than periods. That helps build engagement." Only 46 percent of all donors make a second gift, according to research, so it's vital to focus at least as much energy on keeping donors as finding new ones, said Rachel Clemens of Trademark Media, a consulting company, and Erin Samson, chief fundraiser at Habitat for Humanity in Austin, Texas. Charities, they said, should not just thank new supporters; instead, they should map out how to interact with the new donors "year round." To improve their fundraising, more charities are undertaking "reactivation" campaigns every two to three years, Clemens noted. Such campaigns improve donor lists by ridding them of nonresponsive people, usually by sending out a series of solicitations, the last of which says, "this is the last time you'll hear from us." Such campaigns have multiple benefits: They prompt some donors whose giving has lapsed to contribute, they save money, and they lift response rates by eliminating people who don't give, helping the charity better define who its active supporters are. The women also pointed to some mistakes charities should avoid. Video added to an online donation page greatly increases the chance that people will actually make a gift. For that reason, charities should not waste too much time worrying about high-quality production values on their videos—as long as the content is sincere and accurate. Some charities make the mistake of doing online campaigns for specific projects and sending donors to the organization's main giving page, Clemens said. That just makes people question whether their money will actually go to the project or toward some other purpose. Each specific project, she added, needs its own donation apparatus. Human Rights Watch, a charity with a budget of $80 million that conducts research and advocacy to protect people's rights globally, saw online fundraising returns soar by 33 percent in one year after optimizing its solicitation materials. By shifting the focus of fundraising emails from an emphasis on year-end gifts, which accounted for 45 percent of donations in 2015, to a year-long approach that focused on tying appeals to events in the news, the charity saw email gifts grow to 90 percent of online donations last year. According to Matthew Rullo, the charity's associate director of marketing, Human Rights Watch also benefited by using paid advertising and small online blocks of text and photographs known as "light boxes." As a result, the number of people making monthly, rather than one-time, donations grew from 4.6 percent in 2015 to more than 15 percent of contributors last year. Joe McLaughlin and Elise Ledsinger, two fundraising consultants who accompanied Rullo, shared results from other charities that have achieved significant increases in online giving. For example, Refugee Action redesigned its online donation page and saw contributions balloon by 278 percent in 10 months. But design changes were not the only factor at work. For many organizations, according to the consultants, the election of Donald Trump "is causing a huge lift in advocacy and fundraising." In a session about big gifts among African Americans, Tony Spearman-Leach of Montgomery Community Media was one of three speakers describing challenges in raising $2 million in private support for a $7 million campaign. The project: building a new visitor's center and museum in Maryland honoring Josiah Henson, a slave who inspired Uncle Tom's Cabin. Harriet Beecher Stowe's 1852 bestselling novel enraged slaveholders, galvanized abolitionists, and laid the groundwork for the Civil War. Among difficulties faced by the fundraising effort, according to Julie Carter, a consultant to the campaign, and Michael Nardolilli of the Montgomery County Parks Foundation: the fact that Maryland is home to few Fortune 500 companies and a lack of awareness about Henson, whose fame is dwarfed by that of contemporaries such as Harriet Tubman and Frederick Douglass. The campaign also had to deal with a small budget, an initial all-white planning committee, and negativity surrounding the term "Uncle Tom," which signifies subservience rather than strength to many African Americans. As one woman commented, Stowe's book depicts the long-suffering slave's honesty and kindness but not his strength. In 1830, after unsuccessfully attempting to buy his freedom, Henson escaped to Canada with his wife and two children. In Ontario, he opened the Dawn Settlement, offering slave refugees the education and skills they needed for self-sufficiency. The campaign to enhance the Maryland site where Henson was a slave officially started in August 2015 and has raised $300,000 to date. While grantmakers have contributed, individual African American donors have been more cautious, taking much longer to decide if and how much to give, said Carter, the fundraising consultant. "I did not expect people to be so deliberate about how much to give." In an interview with Inside Philanthropy, Carter talked about what the campaign has taught her. First, she said, she'd spend more time with potential African American donors before asking and do more to build trust in their churches and other organizations. Second, she said, the campaign should stress that it must raise $2 million before it can tap into the $5 million that government sources have promised. Another lesson: Racial balance is important, Carter said. While the campaign's original Caucasian planning committee was replaced with an African American committee, it is important to have have both races represented. "It shouldn't be just them," she says of the current committee. The campaign committee is now seeking a white co-chair.